Since the establishment of IOST tech community, IOST has been working with community developers on various projects through bounty programs and more. As a result, we are launching the “IOST Tech Essay Contest” to let more developers participate in our project. Top content contributors could also have chances of being IOST’s core community developers. 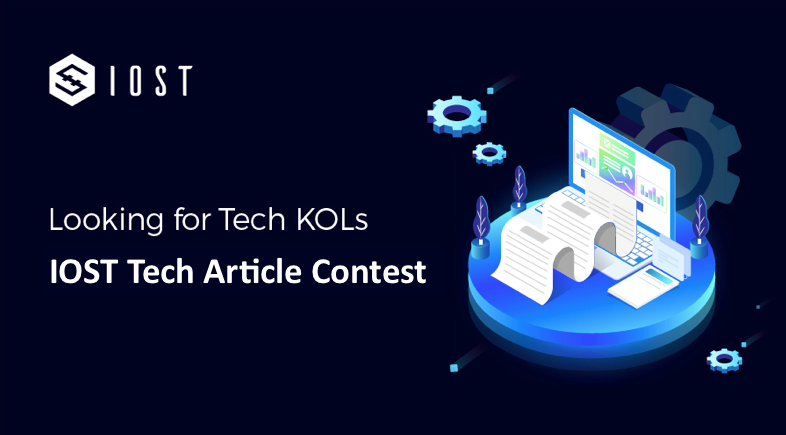 Essays selected will be posted on IOST’s social media, Excellent contributors will also be awarded with “IOST Community Tech KOL” and may be our content partners. Other themes relate to blockchain technology, Dapp development and the IOST project. Length: No limit of length. Once the essay is adopted, IOST will post it in every channel. Range of rewards: 100–500 USD equivalence of IOST. IOST team will evaluate the articles in aspects of length, technical value and creativity. The content needs to be original. Translations and quotations cannot be more than 30% of total content.